I have to be careful, because sometimes I simply enjoy a movie because I'm one of the few who has taken the opportunity to try it out, and sometimes that experience is worth more than the film itself. An indie flick comes along, it goes entirely under the radar, it's not a hidden gem by any means, but just watching gives those few in the audience a feeling of personal attention, and you find yourself rooting for a story and its character with a voracity that perhaps it doesn't deserve. 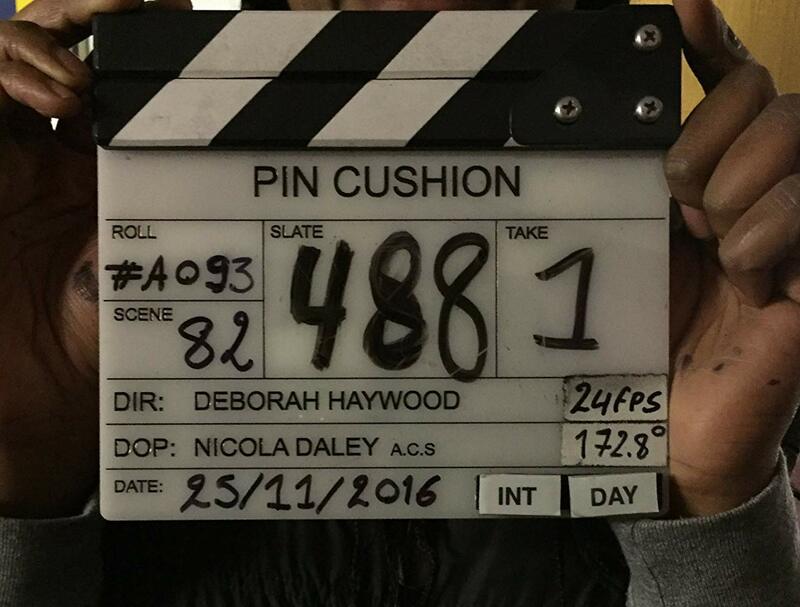 This film is one that's not strong enough to warrant the praise on its own, it needs its status to drum up support. And although I am all for giving support to independent cinema, I also have to put back on my critic's cap to judge it by its content as well, and when I do that, I find it rather lacking. Lyn and her daughter Iona are very close, about as close as mother and child can be, and they've developed a few idiosyncracies from their time together, little quirks that the outside world does not understand but that have only worked to bring them closer to one another. Perhaps they are co-dependent, perhaps it isn't healthy, perhaps they both need friends outside of their house, but at least they're happy; a little weird, but happy. Then comes a move to a new town and things of course change; new school, new schoolmates, new neighbors. But neither was prepared for how much things would be different, or how far this once inseparable pair might grow apart. Iona meets a new gang of girls who want to be her friends; well, kind of. They want her to join their circle, but almost as a clown to poke fun of, not an equal to share a friendship with. But Iona can't see the difference, and so goes along with the wishes of these cool kids, getting herself in some trouble along the way. They don't treat her very nicely, make her do uncomfortable and sexual things that she's not ready for, and push her to the limits of her patience, a boundary that she's never really had to cross. 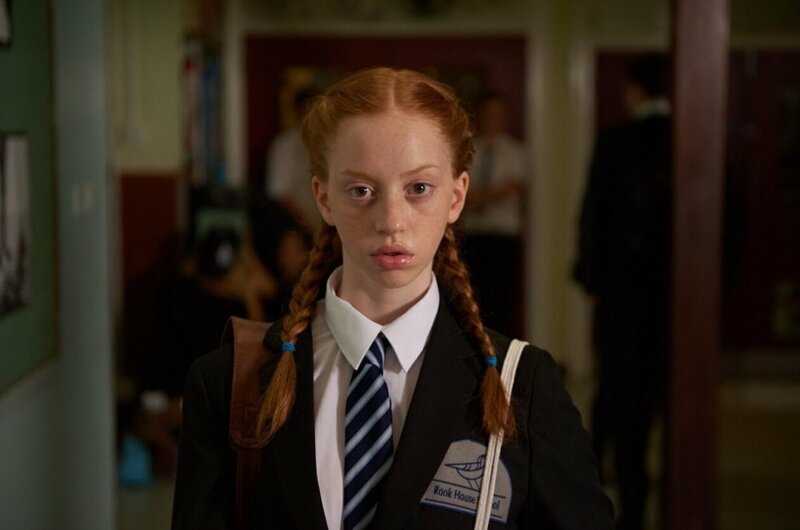 Iona will have to learn fast how to deal with high school drama, before she's run over, and Lyn will have to learn to be the mother of a teenage girl, before she's left completely behind. On one hand, this movie is the epitome of an indie flick and I am happy to help it succeed in reaching audiences, because a lot of work was put into making this idea a reality, and that's worth very much. Deborah Haywood took the coming-of-age idea and boiled it down to concentrated madness, which we can all attest is pretty close to reality. Iona's problems might be exaggerated for dramatics, but they aren't too far from the truth, as drama and bullying and bad choices haunt teenagers in a way that they simply aren't prepared for, and that's something that's sad but true. This story speaks to that age, but also to parents who deal with their children growing up, leaving them alone, and making too many bad choices along the way, decisions that you wish you could make for them but you just can't. On the other hand, and despite its message and its A for effort, this movie isn't as good as it needs to be to be placed in a category with contemporary drams and to be judged as working. It's too strange for its own good sometimes, going off into fantasies, going over the top too often, spinning in directions you didn't see coming nor want to go down. The plot needed reined in and held onto, not let loose to travel organically where it may; there wasn't enough talent behind it to allow it that freedom. Newman and Scanlan have been around, but they aren't the stars needed to carry an odd story over the finish line, and asking them to do so would have been asking too much. The indie mood worked, the morals held up, there are reasons to watch, but when weighed alongside others of its kind, I'm afraid this movie won't balance out. Video: With an aspect ratio of 1.85:1 and shot using an Arri Alexa XT Plus camera, the video quality of the DVD is fine, with a solid amount of good color, but definitely not something to write home about. The sets are nice, and the costumes stand out as well, but the cinematography does not, and the clarity of picture is only on par with other indie flicks that you might watch an allow a pass. Audio: The language of the film is English, but there are no other details, languages, subtitles, technical statistics, or options. The music of the movie is rather interesting and well-thought out, with an emphasis on mood that works. Extras: The only special features are a slideshow, a trailer, and six Cleopatra previews for other films. Recommended. 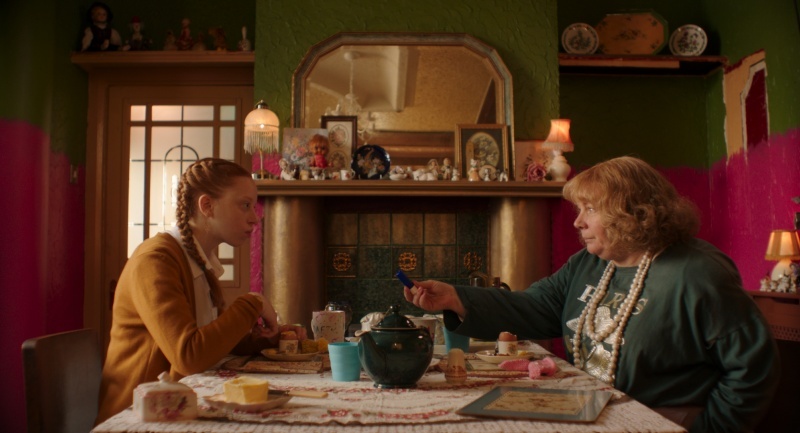 For a low-budget picture, and a feature debut, Pin Cushion does enough right to warrant attention, without being so spectacular that you need to go tell your friends about it. On the level that it can succeed, it did, but its ceiling was rather low, and there was no breaking through with this cast or this story. The message was clear and the point made, but other than that the action was far too weird to appeal to most audiences. In the film's favor, it was short, unique, and colorful, but that only got it so far; there wasn't really power left to take it all the way. The video is fine, the audio interesting at times, there aren't a lot of extras, so look elsewhere for stunning technical aspects. But a very specific group would find this film endearing, it's just hard to know where that demographic lies.